A new set of tactical options to assist Incident Commanders and Firefighters at High-rise incidents. At any High Rise Fire there are only a limited number of tactical options available to the Incident Commander (IC). The limits are inherent on the design and nature of all high rise buildings and the time available to implement any given Tactic. There are also priorities that must be considered, the saving of 'savable life' being the most important. A full understanding of the unique risks and problems that a High Rise building poses to Firefighters is a key perquisite to help fully inform any tactical selection. Next is an intimate knowledge of all the appropriate procedures that are available to the IC. Lastly is any Site Specific Risk Information (PRM/SSRI) that may show additional hazards and potential solutions that may be appropriate for that specific building. 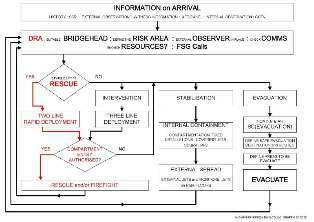 Information will allow first responding commanders to better select the most suitable tactics or combination of tactics. Information or SSRI (Site specific risk information) gathered before an incident will inform about the building design, layout and identify specific risks and control measures. 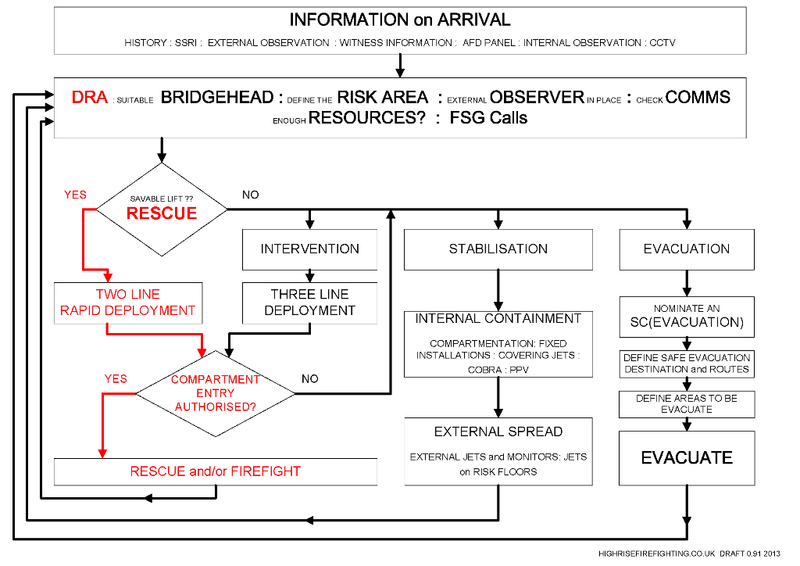 'Live' information about the current incident will help direct and prioritise action. Identifying savable life and carrying out rescues from high rise buildings have always presented challenges to the Fire service. The very nature of the building can hamper a quick and effective rescues by Fire and Rescue personnel. Uncontrolled fire and fire spread can endanger not only occupants still in the building, but the fire service personnel that have to contend with it. This link will take you away from www.highrisefire.co.uk Please be aware that we do not necessarily endorse or support the views, opinions or expressions of this site.